Pumpkins and beauty - who'd have thought? 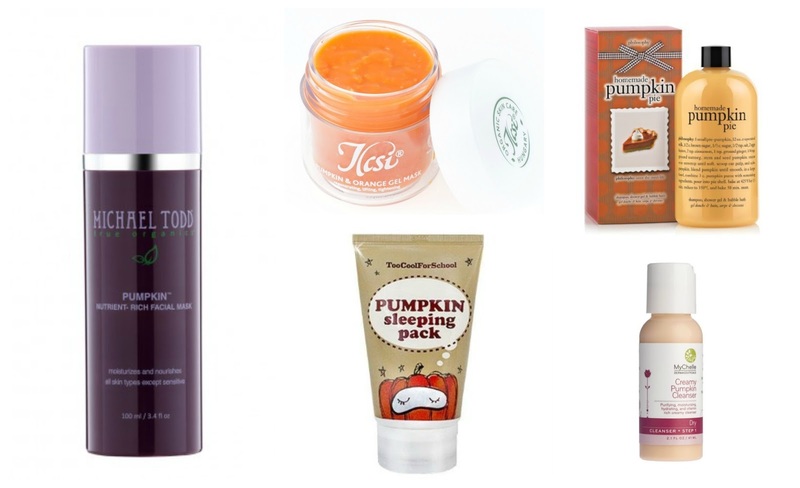 The only pumpkin related beauty products that sprung to mind when I first thought about it were the cult Peter Thomas Roth Pumpkin Enzyme Mask and Oskia Renaissance Cleansing Gel, but as it turns out, the goodness of the gourd can be found in a whole range of bath, body and beauty products. Pumpkin enzymes are an effective exfoliating ingredient in skincare, but as any fellow PSL enthusiast will agree, that sweetened, artificial pumpkin fragrance is pretty darn appealing too. The only Ilsci product I'd actually heard of was the Sour Cherry Mask so I was intrigued when I came across the Pumpkin and Orange Gel Mask from the brand. Designed to smooth and hydrate, the orange coloured gel mask contains organic pumpkin, orange, honey and herbal oils. Preservatives include Salicylic Acid. I'm more than keen to try this one. I first fell in love with Philosophy shower gels back in Australia when I used to frequent Mecca Cosmetica (think Space NK) because they were literally the only shop to stock Philosophy products. Cinnamon Buns was and probably always will be my favourite one to sniff but I can imagine Pumpkin Pie will have the same sweet, spiced fragrance. It looks like Boots aren't stocking this (online anyway) but I've found it on Amazon at a disturbingly expensive price point. Designed to make skin 'glow', the Michael Todd Pumpkin Nutrient Rich Facial Mask contains 5% Glycolic Acid (the same amount as Pixi Glow Tonic), pumpkin and aloe vera. The addition of sugar cane and maple extract aid in deep cleansing and reducing the appearance of enlarged pores, making the mask recommended for dull and acne prone skin. Once again, I want to know how this one smells as I imagine it's nicely scented. Korean skincare lovers are probably familiar with the Too Cool for School brand and their cutesy packaging. Just like Origins Drink Up or Ren's Wake Wonderful, this mask is designed to be the last step in your evening skincare routine and promises to do all kinds of lovely things to your complexion as you slumber. Pumpkin enzymes exfoliate as you snooze while Hyaluronic Acid does that hydrating thing it's so good at. The mask is somewhere in between a gel and cream in terms of texture, so I imagine it wouldn't feel too heavy on the skin. I've found it at Cult Beauty. I've also heard many great things about the Bath & Body Works pumpkin ranges - when will they open a store in London? Please tell me it's only a matter of time!